What if there was a public celebration of dance everywhere, around the world, simultaneously? What if, in one moment, the whole world started dancing? dance anywhere® is a simultaneous worldwide public art performance and we want YOU to join us! Since 2005, people of all ages and artistic capacities have made dances in parks, museums, street corners, schools, work places, community centers, offices, and just about anywhere you can imagine. Participants have been professional dancers and artists, plumbers, doctors, soccer players, teachers and politicians. Some dances are choreographed, some are improvised, and some stretch the definition of what dance is. We hope you will participate on Friday, March 18, 2016 at noon CA, 3pm NY: click here for your time) for the 12th year of dance anywhere! At work? Taking a lunch break? In class? Running an errand? In line at the bank? The library? The grocery store? Walking the dog in the park?… Perfect! Your participation doesn't need to be an event you plan months in advance! … Tap your foot, do a little jig, bob your head… You have our permission. And you will be joined by thousands around the world. Get together with your friends, family, colleagues or strangers on the street - wherever you will be - and have some fun! Artist Beth Fein originally conceived the idea in an effort to acknowledge dance practice (rehearsal, class, etc) as an art form, that formal performances are only a part of dance, that the less observed dance practice is also an art form. As a dancer and visual artist, Fein has continued to develop this original concept to not only blur the line between art practice and art, but to dissolve the line that often separates art and dance from our daily lives. This is dance that transforms our familiar and ordinary locations. To learn more about Beth Fein and her dance and visual arts practice visit www.bethfein.com. 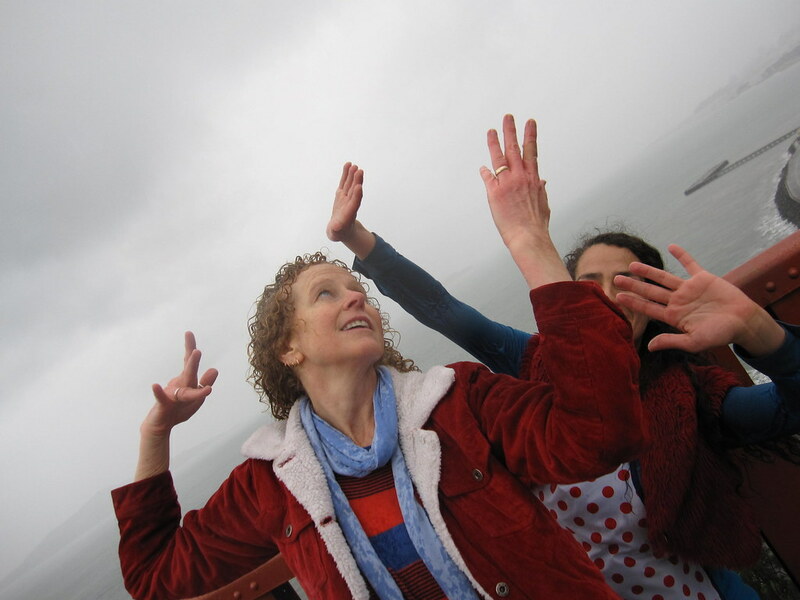 It is a moment in time to connect with others through dance. We might not be in the same place, doing the same dance, but we are (at the same time) putting dance out there for all, for one, for oneself to see and feel and become.